Finding truly toddler-friendly resorts are like finding a diamond in the rough. 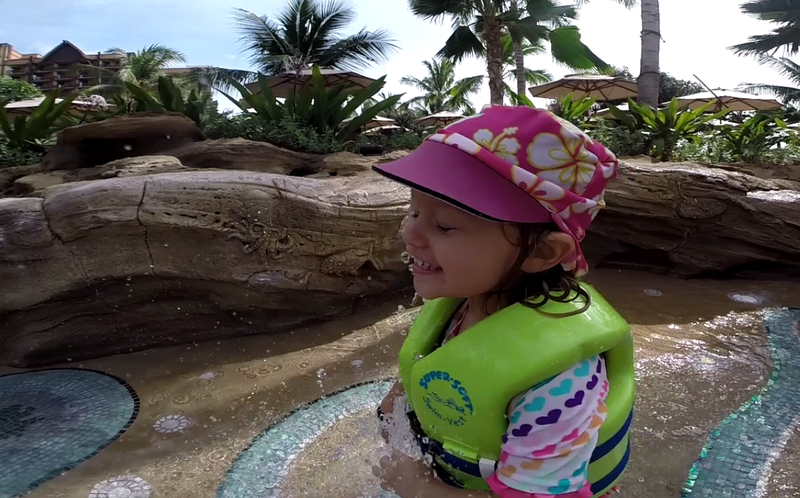 Surprisingly, even Disney Aulani, Oahu is geared toward children 3 and up. 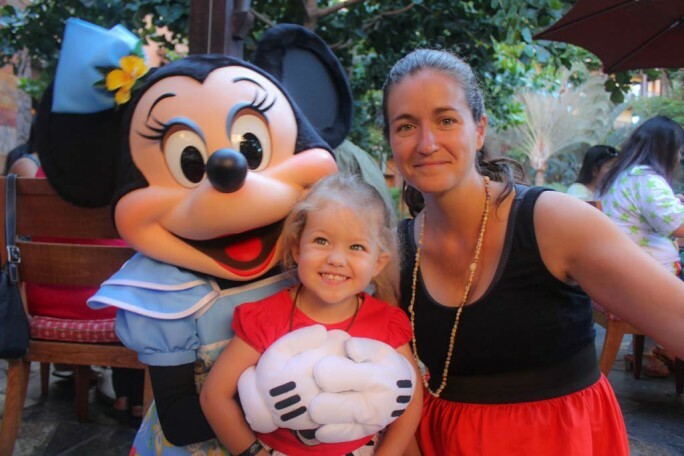 While this means no quiet time for mom and dad, unless they want to pay for an expensive sitter, there are toddler-friendly, energizing adventures sprinkled throughout the entire Disney property in Oahu. From a morning at Aunty’s Beach House to Menehune Bridge, here are our favorite toddler activities at Disney Aulani. The youngest Aulani guests and their families are invited to an interactive, high-energy party starting at 8:30 am at Aunty’s Beach House. Festivities include an “iron-baby” diaper derby, crafting, dancing, cartoons and a special visit from a favorite Disney friend! Athena loved the costumes available for dress-up and danced around with her Tinker Bell costume and wings for over an hour. It was a great start to a morning of fun and Disney magic. Start the day with cherished Disney Characters at “Aunty’s Breakfast Celebration at the Makahiki”! The buffet breakfast included fun foods like Mickey-shaped waffles, French toast with loads of topping choices, house-baked pastries, yogurt and island fruits. Athena couldn’t focus on eating with the Disney gang walking around, but it was worth the cost just to interact with the characters. Meeting Mickey, Minnie, and Goofy was the highlight of the trip for Athena. The experience was truly interactive with singing and dancing and a personal chat at our table with both Minnie and Goofy. Athena loved when “Aunty” strummed her ukulele and invited all the children up to dance. When Minnie and Goofy joined in dancing, Athena couldn’t stop smiling and laughing. She was in a dreamland. Little ones love Keiki Cove, an interactive splash zone that’s inspired by the lively tidal pools of Hawai‘i. This whimsical water playground is decorated with an octopus shaped floor, rainbow water jets, and hidden Menehune, the legendary “little people” responsible for mysterious happenings in Hawai‘i. The water temperatures are around 82 degrees Fahrenheit, which we all enjoyed. With lounge chairs next to the splash area, Darren and I could sit back and relax while Athena played with children her age in a safe environment. She sat down while the water splashed around her and she ran through the spurts of water with ease. It was an excellent way to increase her comfort level in the water. Even when it sprayed near her face, she just wiped it away and kept on playing. 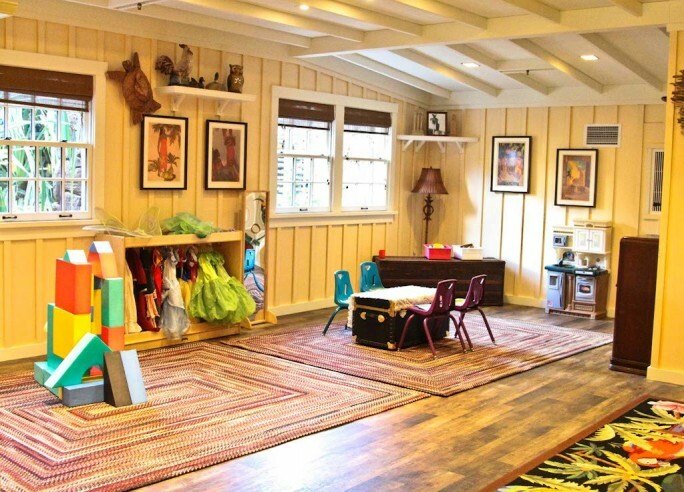 This area was a family favorite. You can enjoy up-close encounters with tropical fish at Rainbow Reef, the only private snorkeling lagoon on O‘ahu. 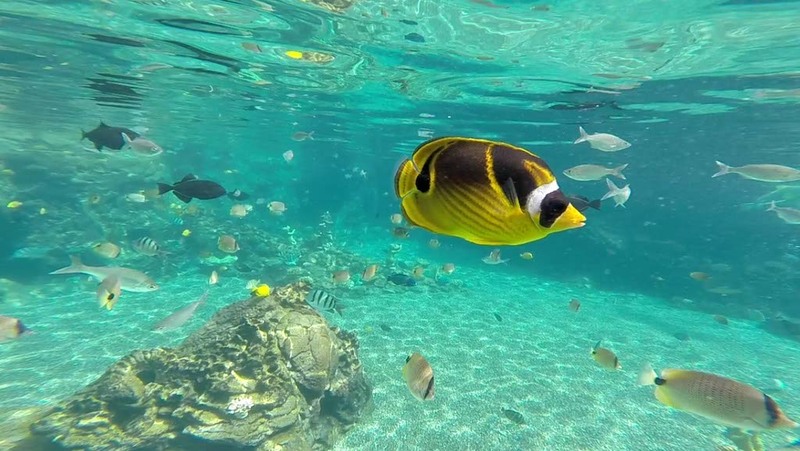 This saltwater lagoon is home to thousands of tropical fish and colorful marine life like butterflyfish, angelfish, surgeonfish and tangs. This serene, man-made lagoon was a place where we could snorkel as a family without worrying about unpredictable waves and currents. The fish were so colorful and calm that Athena didn’t feel intimidated or worried. At a cooler 77 degrees Fahrenheit, we played here for about 15 minutes at a time and then returned to Keiki Cove to warm up. Darren and I loved the reef so much that we took turns playing with Athena and snorkeling on our own. She loved being in the water with the fish but wasn’t ready to actually snorkel. She had a great time watching them from around the reef entrance steps and from the viewing windows below. Smaller children can romp, stomp, splish and splash at this interactive water play area in Waikolohe Valley! No adults are allowed on this playland for tots. Athena rode the water slide more than a dozen times and ran around excitedly getting splashed as Mommy and Daddy waited near by. We allowed her to climb and play on the bridge but always watched for her turn on the slide so we could wait for her at the bottom. I loved how friendly other children were around her and I was impressed how they managed to take turns on the slide without any fuss or adult supervision. Baby spa treatments at Laniwai, Searching for Menehune, Disney Friends Meet and Greet, Live Music, Pau Hana Room, Joe’s Beach Rentals, Starlit Hui, In-House Nanny Services, Baby Beach, Pools & Life Vests, Moʻolelo Storytelling, Hawaiian Craft Series, and Disney Movie Nights. The Starlit Hui is a signature family event filled with music, dance, and fun. It has local artisans, hula, live music, and even a dance party with the Disney characters. This would have made it in our top five except the pre-show starts at 7:30 pm and the showtime is 8 pm. Athena’s bedtime is 8 pm so even with a late afternoon nap, she was tired and crying by the time the show was underway. Even an hour in the difference would have made this event a must see for all ages. It was, Anita. Have you ever been to Oahu? It is one of my favorite places in the world. Add Aulani and you have one great family vacation destination. Do you have a favorite family destination? Yes, I’ve been to Oahu and loved it! Did you visit the zoo? Athena would love it! We didn’t visit the zoo. I don’t really like zoos very much. I’ve taken Athena to the San Diego Zoo a number of times, but we don’t usually visit when traveling. Do you have a favorite animal there? Forget about toddlers, I want to do all of that! The beach house is adorable and who wouldn’t want to give a Disney Character a hug. Of course I scuba dive, so you would likely find me with the fish too. So much fun. 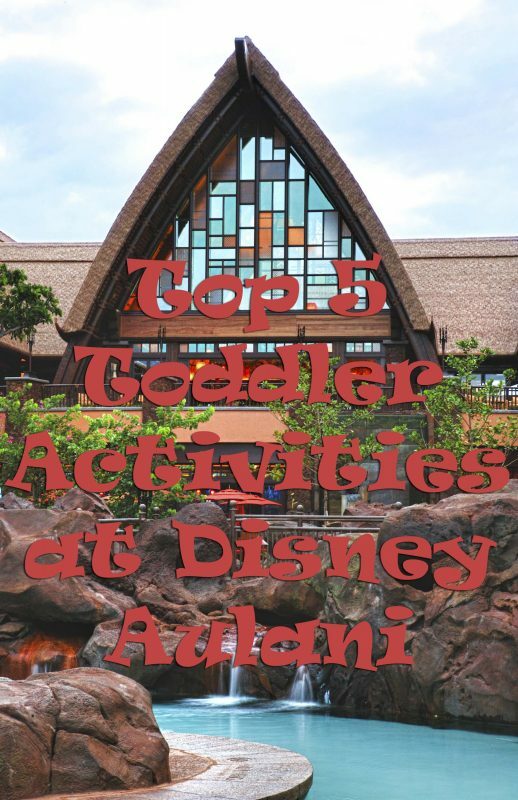 We LOVE Aulani and have been there 5-6 times with our zoo (5 kids- its pretty much a zoo) and I love your list. Spot on! We also love to take walks along the Ko’Olina marina and enjoy participating in the family challenges through the kids programs. No trip is ever complete for my kids unless we’ve completed the menehune adventure trail. They love running around with that little electronic device trying to solve the mission while making cool things appear out of the water, or make the lava flow etc… Thanks for sharing!! I stayed next door to Aulani and really wish we ponied up and stayed at this Disney Resort. It had so much going on. I’m curious to know if toddlers or pre-schoolers could do cookie baking with the characters. Where was all of this when my kids were toddlers?! Looks amazing. 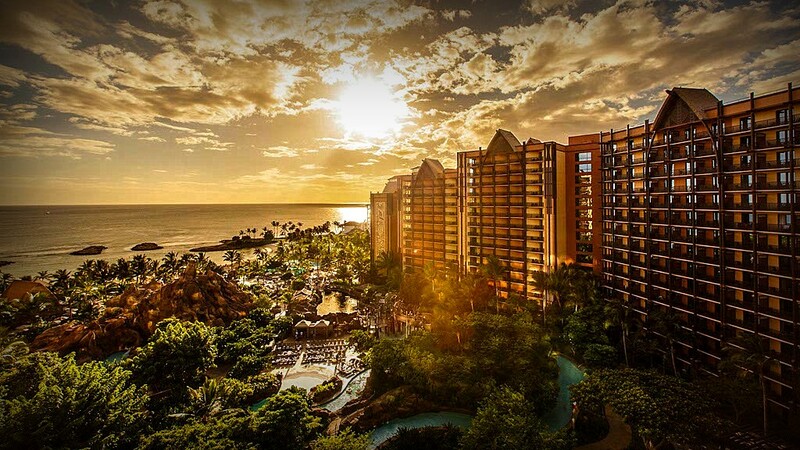 Oooh we’d love to go to Disney Aulani some day, looks fabulous! I would love to go to Disney Aulani. I have a toddler too and am inclined to wait until she is three – but you’ve given me pause of thought!